Carvill and Company LLC was founded in 1995 in Kailua, Oahu, as a boutique real estate company to accommodate a select group of top producing real estate agents on the island of Oahu. 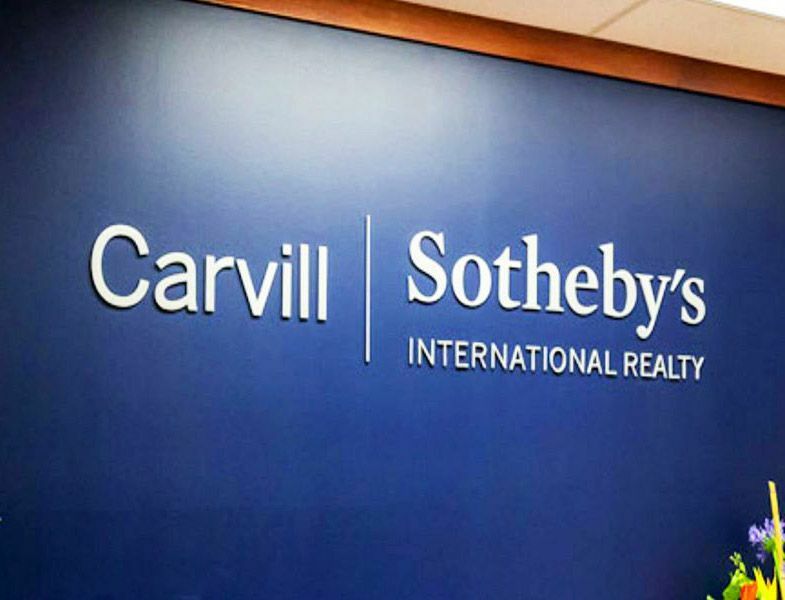 In 2014, Carvill and Company LLC joined with Sotheby's International Realty to become Carvill Sotheby's International Realty. Combining its unrivaled knowledge of the Oahu luxury real estate market and a partnership with an extraordinary International brand and marketing powerhouse, Carvill Sotheby's International Realty delivers. In 2016, Carvill Sotheby’s International Realty was honored to be awarded the top franchisee award in the state of Hawaii by CNBC, Top 50 Franchisee awards for 2016. Carvill Sotheby’s International Realty’s experience and the highest level of customer service is our hallmark. Our dynamic team of agents came together from a multitude of backgrounds and vast experiences and has grown the company into one of the top producing luxury brand real estate firms on Oahu. Whether buying or selling a home, we know that each relationship is unique and that experience matters. Proudly servicing all property types and price points on Oahu, our innovative and dedicated agents strive to provide exceptional service to each and every client that is second to none. We look forward to showcasing our successful strategies in listing or buying a home from all areas on Oahu including Kailua, Kaneohe, Honolulu, Haleiwa, Kahala, Hawaii Kai and beyond. Our ultimate focus is uniting extraordinary properties with extraordinary clients. By leveraging the global reach of the luxury Sotheby’s International Realty Brand within our Oahu niche market, Carvill Sotheby’s International Realty continuously displays proven results.